So 2015 has come and gone, and Digital Extremes closed out another successful year for their highly praised F2P co-op title: Warframe. With DE proclaiming that 2015 would be their “Year of Quality” that would address most of the game’s major flaws, many fans have eagerly stood by to hold them up to their word. But now that year is up and while a handful of issues have been addressed, many others have either gone by the wayside or have been replaced with numerous other distractions to keep us busy for the time being. New warframes, new weapons, new features and other additions have been thrown into the mix in order to please the masses, but whether or not they were enough to give most players their word of approval is the real question for us all. 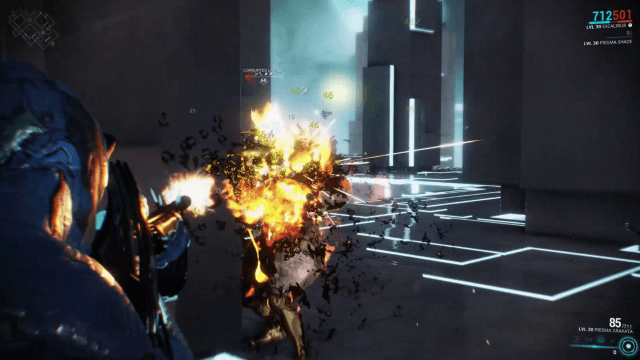 So, was 2015 truly a year of quality for Warframe? Let’s find out. In this review, I’ll be forgoing my usual format where I discuss the game’s visuals, presentation and core gameplay, and will instead focus on some of the major updates that have been featured throughout the year, starting with Update 16: Sanctuary. Update 16 marked the return of the Conclave, a PvP arena focused on retooled and rebalanced warframes and classes to choose from. 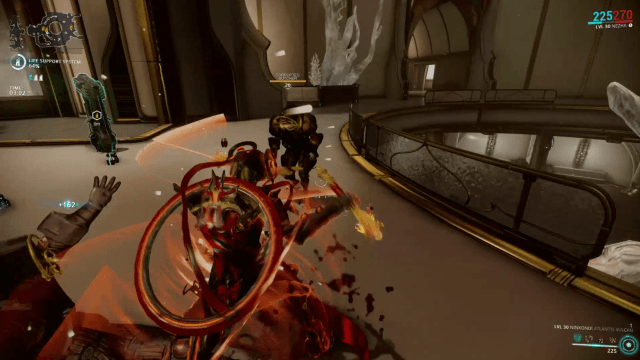 Initially, only six warframes and a handful of weapons were available to use in the conclave, but slowly they’ve included more warframes and weapons to use through the months. With three game modes and more focus on gameplay balance, the new Conclave showed a lot of promise, but it ultimately falls short due to the lack of useful rewards, lack of game mode variety and peer-to-peer connections that made battles difficult to land attacks on your opponent consistently. 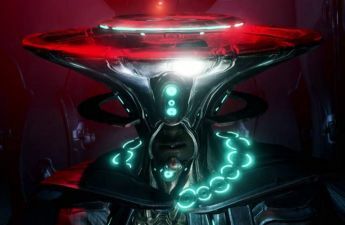 This update also brought about the first raid mission called “The Law of Retribution,” which was Warframe’s first considerable piece of endgame content. Players would form groups of up to 8 players in order to tackle a 3-stage mission that requires timing and patience. While this raid did offer up a good challenge, it was quickly completed and mastered by the majority of the Warframe community and ended up becoming just another part for the player’s daily routine. A very good addition to the game, but it left fans wanting more. Last major piece of this update was the addition of Cephalon Simaris and the Sanctuary, where players can capture enemies, Pokémon style, in order to use them later in training simulations or for extra rewards. While the task of scanning and capturing enemy units quickly becomes another chore to spend your time on, the rewards are pretty decent and being able to simulate enemies to test out your warframe/weapon builds is very useful. Now this update was a real game changer for me and many others, as this update marked the release of a completely overhauled movement system simply title “Parkour 2.0.” Now players can double jump, glide while aiming, dash in midair and pull off all sorts of movements that can only be described as a cross between John Woo acrobatics and Superman. This update, however, also marked the removal of a popular glitch/movement mechanic known as “Coptering” which allowed players to travel across the map using their melee weapon with a combined keypress motion of Shift > Ctrl > Spacebar + W > E. While coptering was technically faster than Parkour 2.0, coptering required players to use weapons with very fast attack speeds and no momentum loss, which limited the player’s loadouts by quite a lot. And overall, the new movement system feels a lot more polished, easier to execute consistently, and at the core just a lot more fun to use. Along with new movement systems, this update included a new tileset on the planet Uranus which is an underwater sea lab that perfectly showcases the possibilities with Parkour 2.0, along with transitional battles between on-foot combat to underwater Archwing combat. 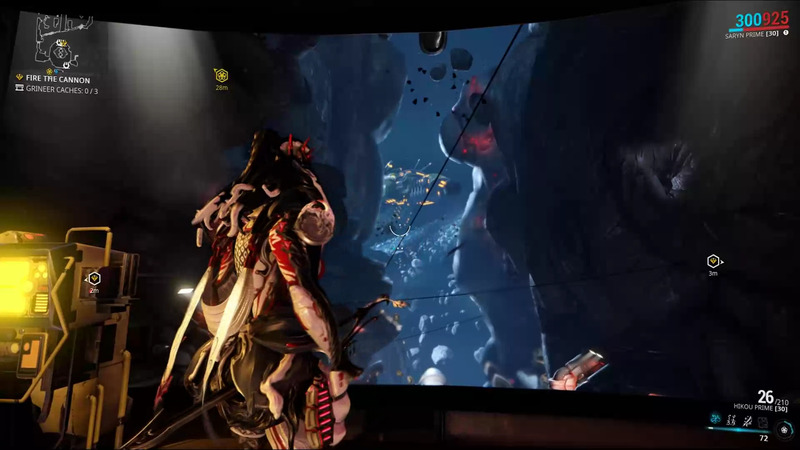 My only major gripe with underwater Archwing combat is how slow and sluggish it is to travel and fight in. 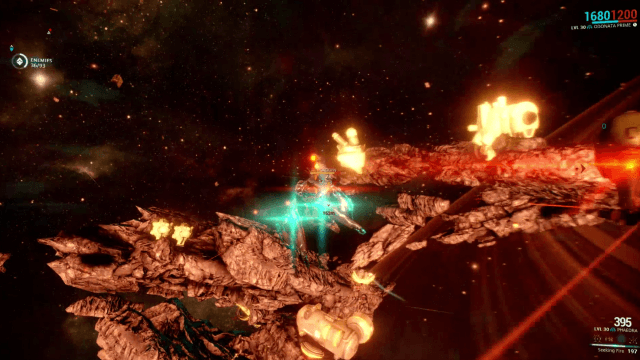 With Archwing originally letting players to fight in space at blistering speed, having to re-adjust from fast action to painfully slow submarine-like speeds was very uneasy for most. As their final major update of the year, DE unleashed this beast of an update which includes a new questline, sortie missions and more. Now despite Warframe having tons of quests and lore built up over the years, these quests haven’t been well received by the fans, mainly due to their weak or unsatisfying payoff. However, this new questline marks a new standard for the game, as it contains cinematic cutscenes, unique missions, and a shocking ending that actually pushes the storyline of Warframe forward. I’m really tempted to speak my mind on how this particular questline ends, but I’d really be doing the readers a disservice by spoiling the ending on this one. All I can say is that you’ll either love it or hate it. This update also brings a new kind of mission setup called “Sortie” missions. For those that have been looking for a new kind of challenge that will put your highly modified warframe and weapon builds to the test, this one’s for you. While combining aspects of Nightmare and Endless missions, players will form their usual 4-man groups to complete three different missions in a sequence in order to unlock powerful rewards including rare weapons, legendary cores and even new warframe parts. Each mission also has special requirements and conditions that must be dealt with, such as “Shotgun Only” or “Improved Armor on Enemies.” Furthermore, these requirements are changed up regularly, so there’s always some variety when taking on a new mission each day. While the reward pools and reward chances could use some tweaking, it’s nice to see the game finally has a more concrete endgame available for all players. We also finally got a feature that many fans have suspected to be long lost: The Focus System. 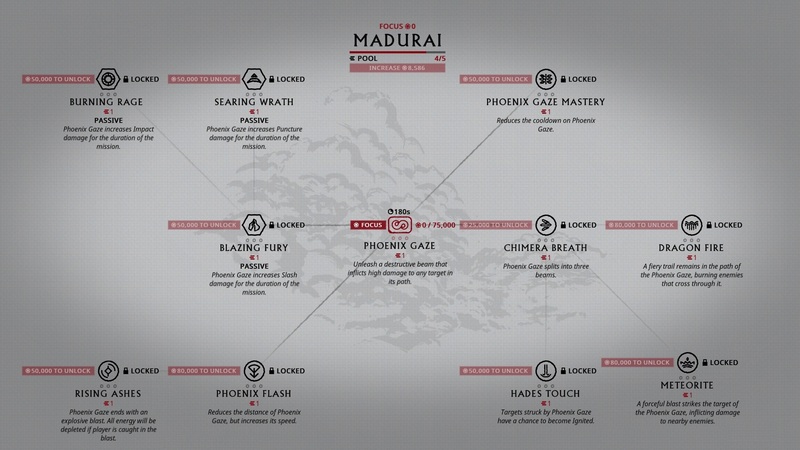 As a way of leveling up a warframe and weapon pass the LV30 mark, the Focus System allows players to train under five different disciplines: Naramon, Madurai, Unairu, Zenurik, Vazarin, in order to unlock new abilities and passives that will aid players in missions. Leveling up using the Focus System takes a hefty amount of time, but like with arcane enhancements and augment abilities, they are not mandatory and only serve to enhance abilities. Basically, you won’t be held back if you decide to skip out on the new system completely (especially since the Focus System is still a work in progress and changes to the system will be inevitable). In 2015, we saw a ton of new warframes introduced into game, including Six new original warframes, three primed variants, and five reworks of existing warframes. While skipping over the primed variants and reworks, I’d like to take a moment to talk about newcomers to the lineup. As a tank-focused warframe, Chroma can select one of four different status types including Fire, Electric, Poison, and Ice, each with their own unique status procs in battle that while harm enemies and buff allies. Along with armor/damage boosting abilities and the option to shed his pelt in order to CC foes, this warframe provides a fair balance for those that want a “Jack of all Trades” kind of warframe. The questline associated with this quest is also fairly easy to complete, so unlocking him takes no time at all. Being able to hold his own in many situations, there really isn’t anything bad to say about Chroma, except for the fact that his alternate helmet makes him look like a fleshy, melted anteater. Probably the most extensive warframe of the bunch is Equinox, a Yin-Yang themed warframe that has two different forms that can be switched upon at will. Using its day form, Equinox has access to a slew of offensive abilities, while in the night form, Equinox has access to support abilities. 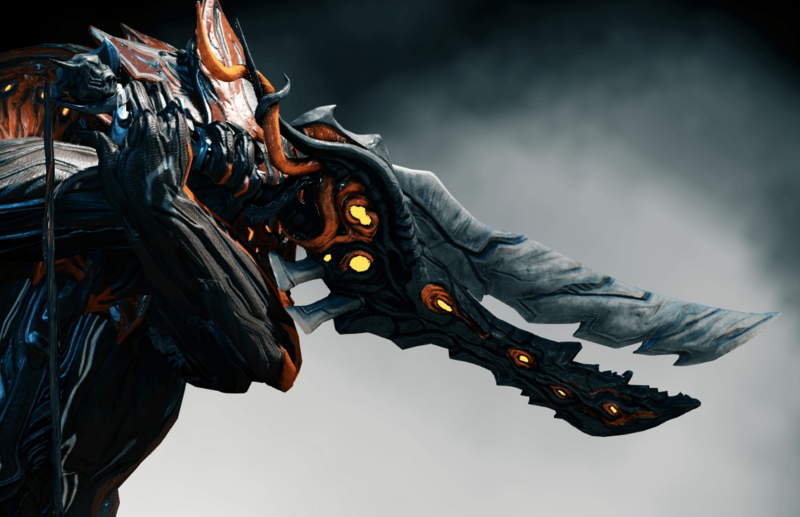 This is a surprisingly powerful warframe that scales very well into high level missions, as Equinox’s most powerful abilities, Mend & Maim, rely on building up a meter of energy by eliminating enemies within a huge radius, and then releasing that energy into one big attack that will either obliterate everything or heal allies in one huge burst. But the biggest problem I have with Equinox is the amount of parts that are need to craft them. Because Equinox is essentially two warframes in one, DE thought it would be good idea to make players collect up to… not four… but nine (NINE!!!) different pieces in order to craft, which takes an awful lot of time due to the game’s rather unforgiving RNG reward system. While the boss that players will have to farm Equinox from is rather enjoyable the first time around, this quickly gets dull for anyone who is dead set on adding Equinox to their collection. Released after Equinox was a monk inspired warframe named Atlas, who specializes in throwing rocks and punching stuff… really hard. Regarded as a “Brawler” type, Atlas excels in melee combat and up close combat due to his high armor and damaging knockdown abilities. This is one warframe that I was looking very forward to due to its concept alone, but in practice, the whole “brawler” concept seems to have been misplaced. Besides from his first ability that allows him to punch rapidly while jumping from one enemy to the next like a giant pinball, his other abilites allow him to summon and push giant rocks, glare at enemies while turning them into into rocks, and summon giant rock monsters to fight for him. While all of these skills work out great in combat, Atlas’ toolset seems more suited for an earth mage rather than a brawler. 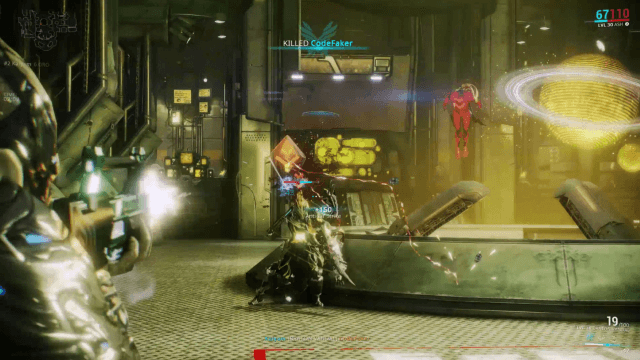 The warframe previously revealed at NYCC 2015 was already released this year. Ivara, the archer warframe, who has one of the most unique skillsets that is perfect for anyone that enjoys stealthy gameplay. With different arrow types, the ability to take control of projectiles in mid-flight, plus a sneaking ability that allows player’s to pick-pocket from enemy units, she’s a ton of fun to play despite having a niche role in combat. Even though she may be a pain to farm from spy missions, Ivara is a warframe that’s well worth the effort. 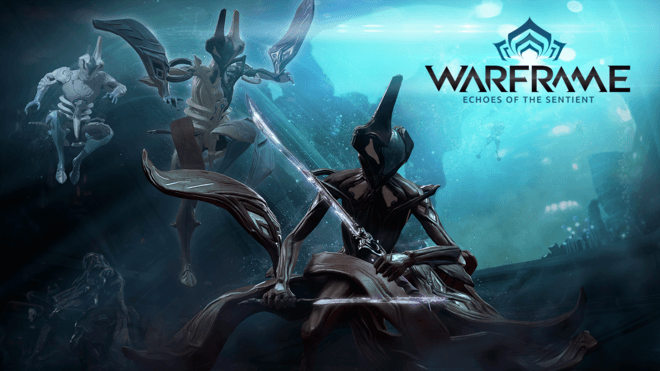 We also received two warframes that were previously exclusive to the Chinese release of Waframe known as Wukong and Nezha, both of which were created from Chinese folklore. While Wukong is more of a solo-oriented melee fighter, Nezha is yet another “Jack of all Trades” type who can support allies and crowd control with ease, through the use of burning attacks that can set enemies on fire, knock them down, cause enemies to stagger in close range and more. 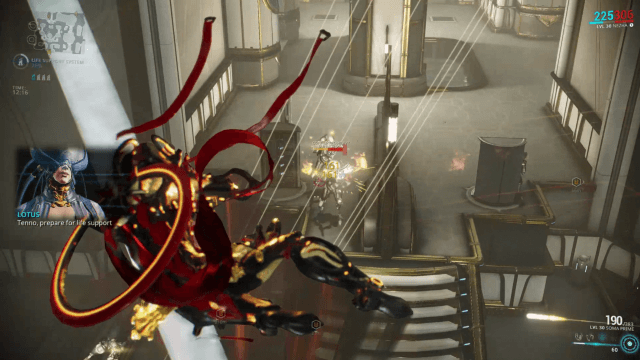 To be honest, I wasn’t really looking forward to this warframe in particular, but of all the warframes presented this year, Nezha turned out to be my favorite. You just can’t top his fast and frantic playstyle, as he takes his place on the roster as the male equivalent of Ember that I never knew I even wanted. Wukong, on the other hand, despite being a new warframe that I was looking forward to, turned out to be a disappointment. Although Wukong is very effective at his job, his moveset was rather simplistic. His first ability simply knocks enemies down with his legendary Ruyi Jingu Bang staff, and his second ability allows him to use his staff as a separate melee weapon, very similar to Excalibur’s exalted blade or Valkyr’s Hysteria claws. His ability to increase the size of his staff is nice, but while active, his staff is rather unsatisfying to use, due to its attacks being way too fast to control (when based off of the player’s melee weapon attack speed higher than 30%) and comes with jerky animations that lack any consistency or flow. Still, with his second ability to become invincible as long as he has energy to spare, and his third ability allowing him to vanish into a cloud while moving freely across the battlefield, getting killed in battle while playing as Wukong will take some serious effort. Last year brought about a slew of unique and not-so unique weaponry to warframe’s lineup including an M79 style grenade launcher, an infested glaive, a revolver style sniper rifle, and so much more. One of my personal favorites of 2015 would have to be the introduction of the Nunchaku weapon type called the Ninkondi. While both of these weapons aren’t very strong for high level enemies, these weapons are undeniably fun with incredibly well done animations that will make anyone feel like they’re a Bruce Lee Jedi Pimp. We also finally got the long awaited user created weapon by RedSkittlez known as Mios, an infested-themed, Kusarigama-style blade and chain weapon that is so versatile that it can be modded for just about any situation. Not only that, but it’s incredibly fun to use due to its solid animations, attack range, and charge attacks. The worst offender of the year included the Twin Twin Basolk, as it requires players to use one good weapon (Atomos) and one decent weapon (Dual Zoren) in order to craft it while given back mediocre performance in every single way. Having to build weapons like these that only amount to being mastery fodder was one of the biggest issues that this game has had over the years, and this continues to be a problem to this very day. One of the more unique additions to Warframe that’s exclusive to PC players is the new TennoGen system workshop that allows players to create their own custom content for the game. 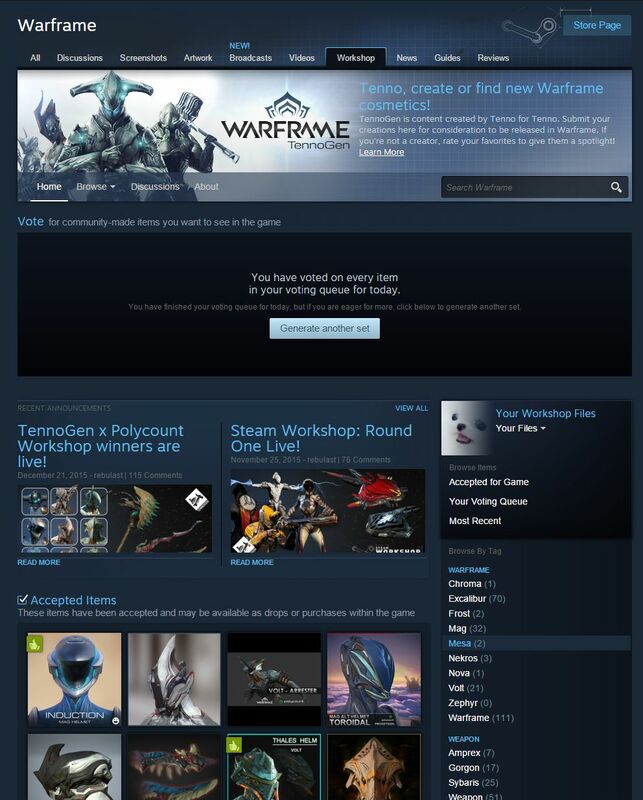 Very similar to the Steam Workshop for Valve’s Team Fortress 2, players can create and vote on warframe skins, weapon skins and Syandanas (cosmetic garments) that will be used in the game. While the folks at Digital Extremes will have the final say of what gets approved for the game, the users that have their creations put into the game will receive profit based on the number of sales made throughout the week. Those with an edge in the creativity department can essentially not only play Warframe for free, but make money doing so! With so many new additions, weapons and warframes added into the mix, there’s so much new content to try out now in Warframe. 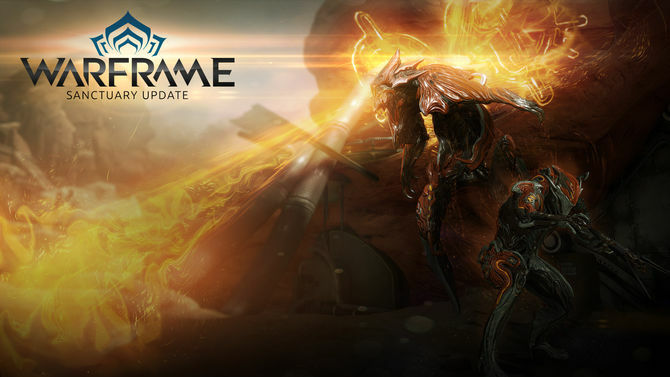 However, many issues with the game have also still not been addressed, including the effectiveness of certain warframes in PvE, the hefty amount of worthless weapons that exist only to be leveled up for mastery points and then never used again, the connection issues for PvP 2.0, the chances of getting worthwhile rewards for completing missions and the modding system that tends to pigeonhole players into creating cookie-cutter builds rather than allowing for true freedom to create unique and viable builds. But despite these issues, I would still say that this game is finally breaking some new ground and pushing forward, with improvements to Archwing space missions, Sortie Missions providing a real challenge for regular players, Parkour 2.0, Focus Systems and the satisfying Second Dream quest. DE has managed to make some commendable progress on their title; enough to warrant old and new players to come on in and look towards the future that this game could be heading towards. So was 2015 the year of quality that DE proclaimed? Well to quote a well-known Warframe player by the name of QuitteShy, the year of quality that can be summed up as “Three Months and about Twenty Minutes of Quality™”. As they say, it’s not about how you start, but how you finish, and update 18 managed to finish out the year for Warframe in a strong way. 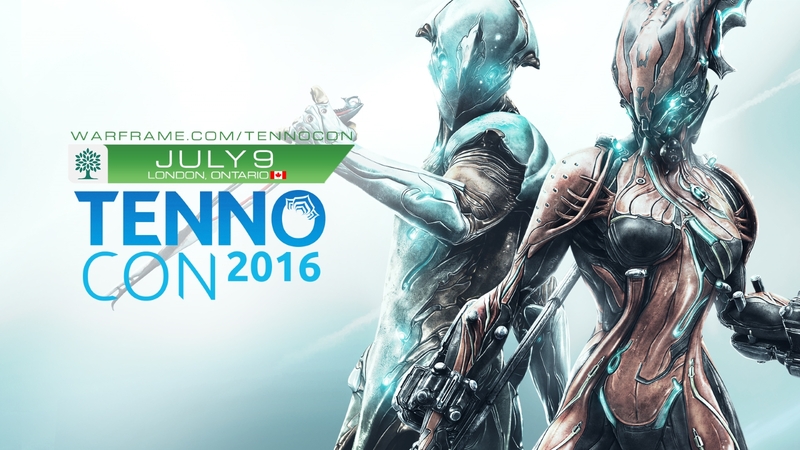 Here’s to hoping that 2016 will continue to push Warframe into something bigger and better.